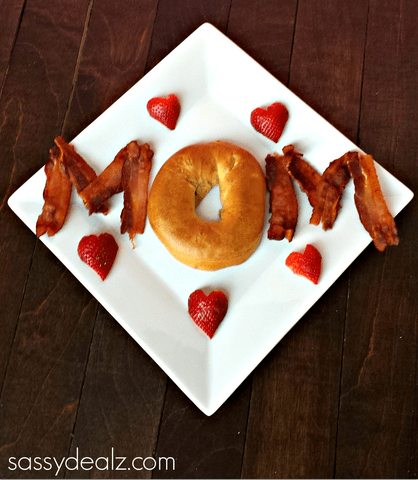 Breakfast in bed is one of the most popular Mother’s Day traditions. It can be as easy as a croissant or store-bought muffin served with Mom’s favorite beverage. If you’d like something a bit more elegant, check out these sweet recipes. 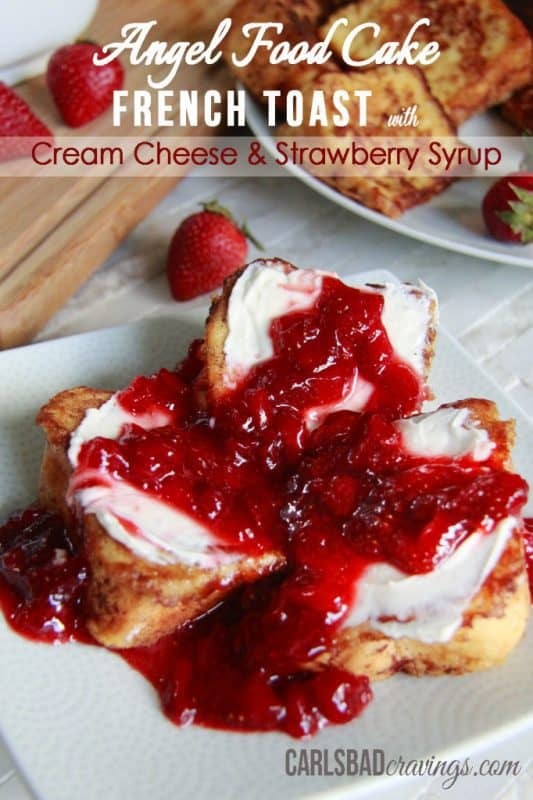 French toast is always a sweet breakfast idea, but for Mother’s Day make it even sweeter by splurging and using angel food cake as the base. A decadent start to a special day! 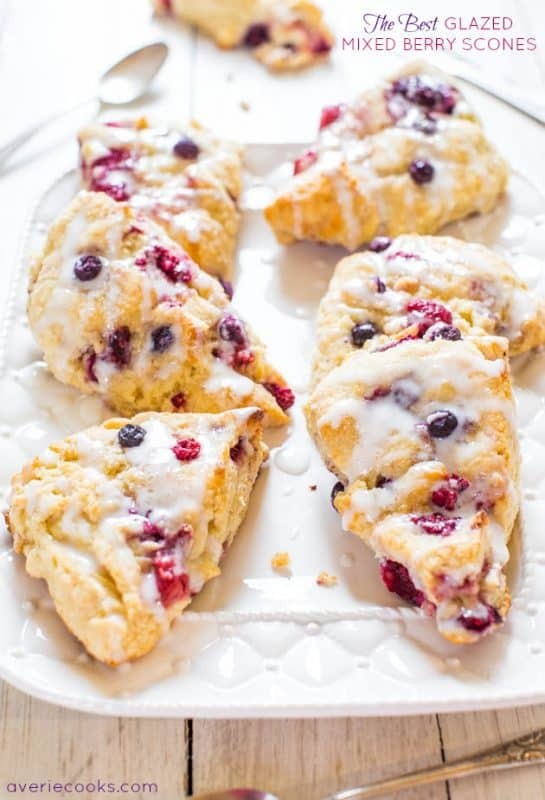 Summer fruits shine in these scrumptious scones from one of my favorite recipe sites, Averie Cooks. You can use fresh or frozen fruits...these scones pair wonderfully with a favorite coffee or tea blend. Even the youngest kids can get into the action by tearing the biscuits into quarters. You can stir the mixture up the night before or bake it right away. 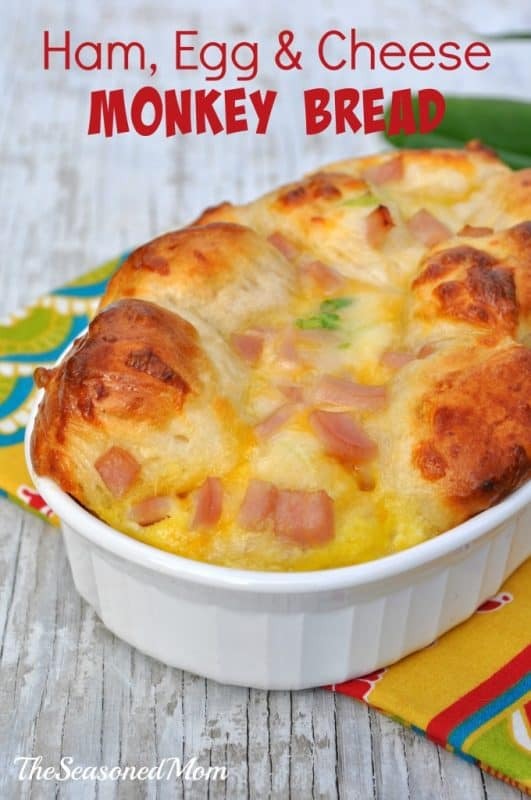 An easy savory recipe that the whole family will enjoy! 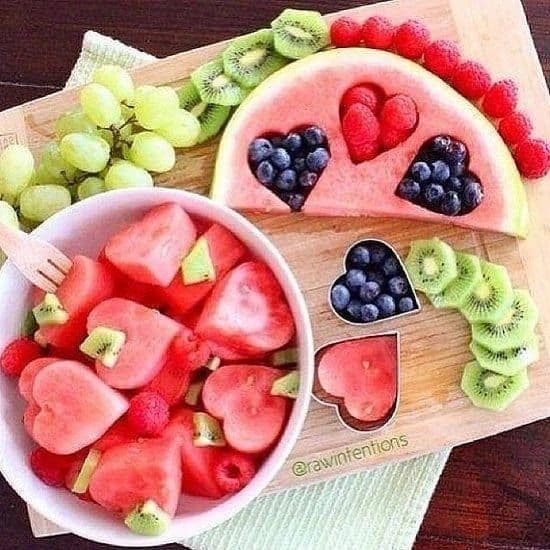 Even the fruit you serve Mom can be an expression of love when you cut it in heart shapes – a great project for the kiddos! There aren’t any directions, but it looks easy enough! Use this pancake recipe, or your own favorite recipe, to create silver dollar pancakes. Then skewer them (a great job for kids!) and add a berry to the end. 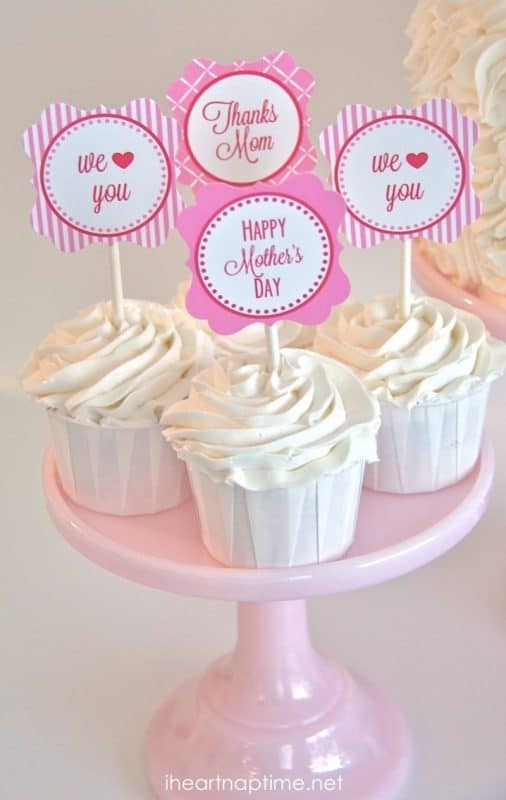 Top them with one of the free Mother’s Day printables below. 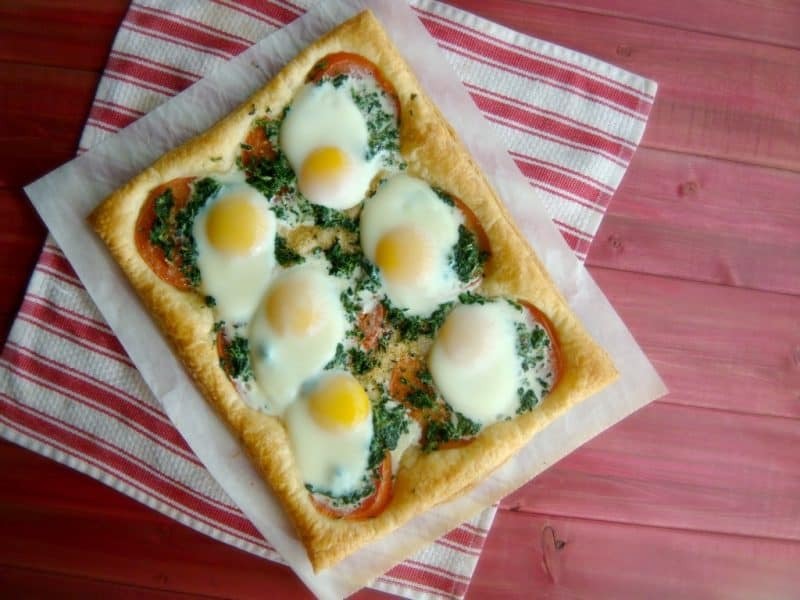 This scrumptious pizza starts with a puff pastry base (find it in your local grocery’s freezer section). A colorful Mother’s Day breakfast that’s healthy and delicious! 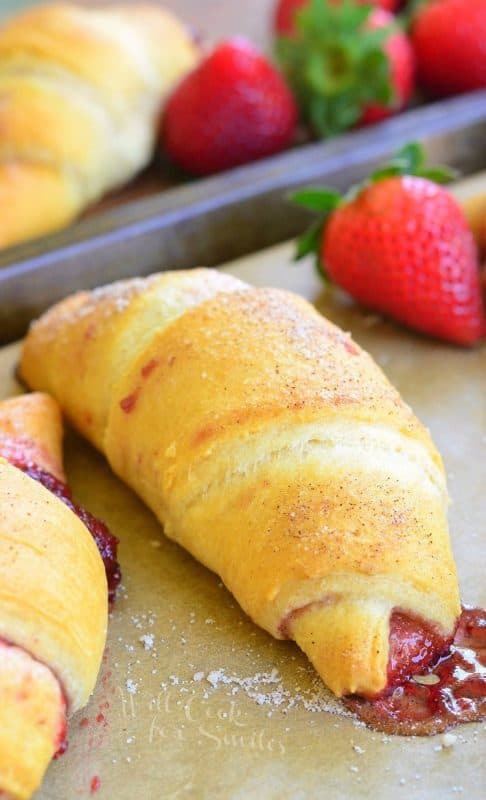 An oh-so-easy but oh-so-cute Mother's Day breakfast idea...you could even use pre-cooked bacon so that you don't have to cook at all. You could also use sausage links if Mom's more of a sausage fan. Substitute a donut (wouldn't a pink donut with sprinkles look cute?) for the bagel for a sweet touch. 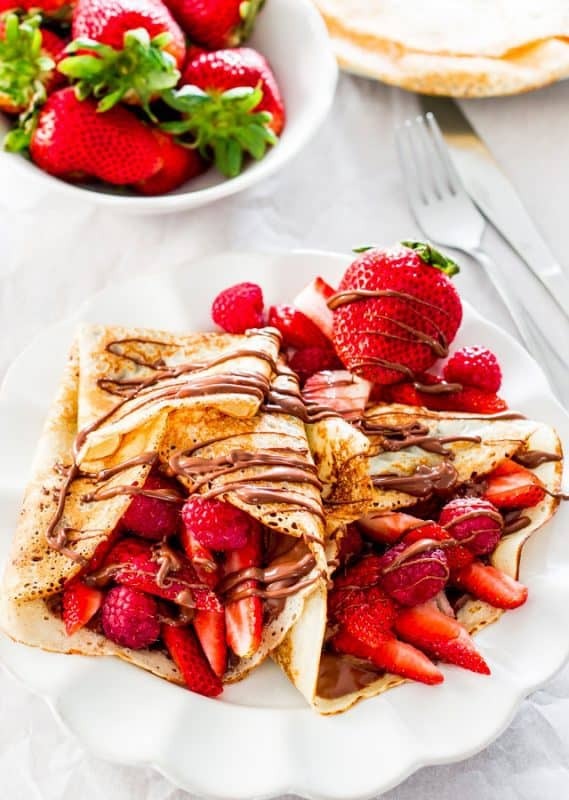 How scrumptious do these Nutella and strawberry crepes look? Although crepes seem intimidating, they’re not as difficult as you might think. The trick is to spread the batter thin enough; you’re bound to get the hang of it after one or two practice crepes. Looking for something simple but sweet? 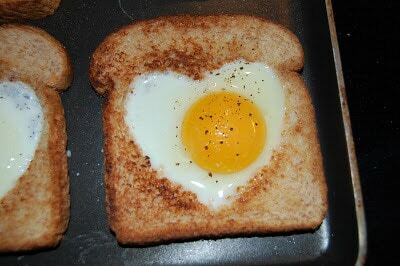 You can prepare these c﻿﻿ute eggs in﻿﻿ a heart nest at the last minute. Just use a knife to make a heart shape in the bread if you don't have a heart-shaped cookie cutter. 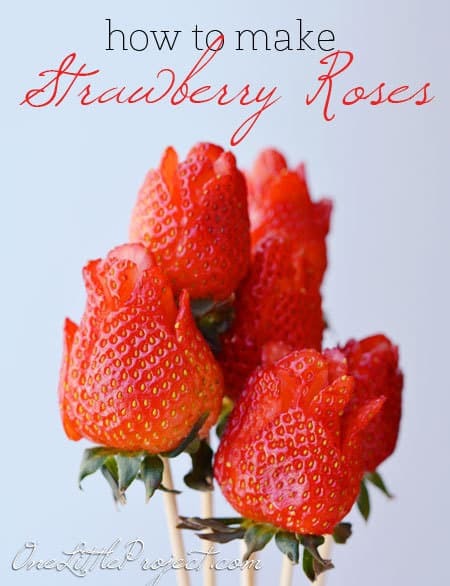 These strawberry roses are the perfect accent to your Mother’s Day breakfast…it just takes a few moments, and no special equipment! Be sure to look for larger strawberries as they work better. 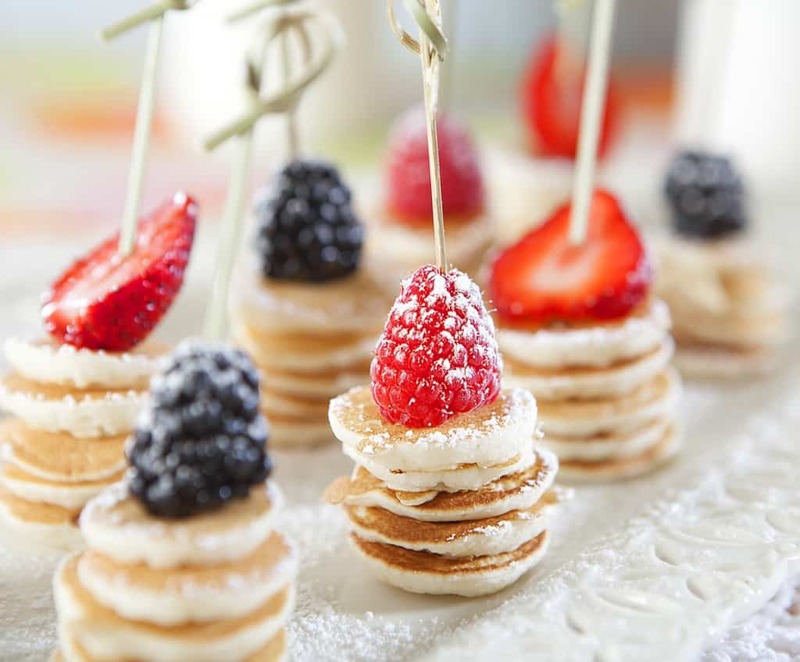 These cute toppers are adorable on pancake stacks, muffins, scones or as fruit skewers. They add a fun touch that’s sure to delight Mom! 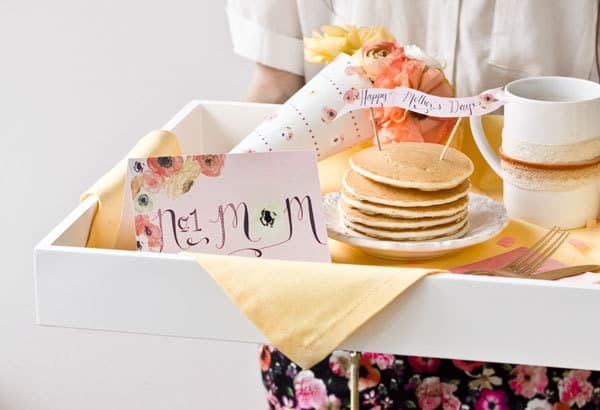 These sweet printables make even the most simple Mother's Day breakfast a special occasion!